Creation Date Tuesday, 27 November 2018. No matter how much you clean a material, it will always end up being covered with a thin layer of dirt. Speculating that the thin layer of molecule dirt comes from water, researchers tested this hypothesis by creating the purest water, completely free from any dirt, which would be then be applied to a surface made from titanium dioxide, which known for its self-cleaning properties. 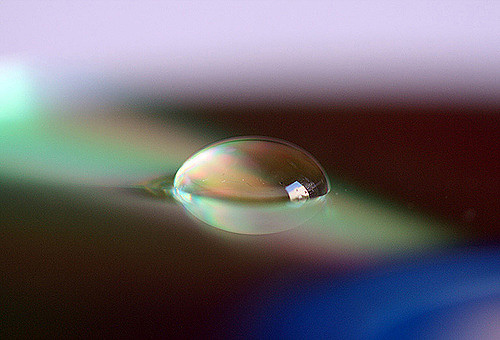 Since contact with normal air is sufficient to coat any material with a thin layer of molecule, researchers carried out the whole experiment in an ultra-high vacuum chamber to ensure no impurities would be introduced to the water. The water vapor was frozen on the tip of a finger-like structure metal called as the metal finger. Researchers cooled the tip of the metal finger to around -140°C then released the ultra-pure vapour in the chamber to freeze, thus forming an ultra-pure icicle. The icicle was then allowed to melt, dropping the water to the titanium dioxide surface. After observing the surface using high powered microscopes, researchers discovered that the molecular dirt attracted to ultra-clean surfaces does not come from water. Surprised, they find out the dirt was made up of two organic acids, acetic acid and formic acid. For a more details on the 2 organic acids and the experiment, read the complete article here.